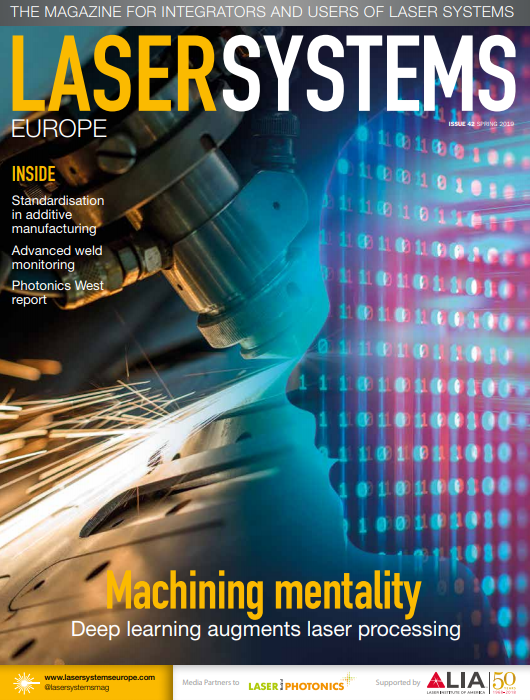 The global market for laser systems for materials processing reached a record volume of $12.6 billion in 2016 after increasing 6.8 per cent, according to market research firm Optech Consulting. The increase has mainly been attributed to increasing sales in China, which reportedly saw a 20 per cent growth last year. Sales in Europe and America experienced little change. According to the market research firm, 75 per cent of the $12.6 billion in system sales were made in laser macro processing – systems used in cutting, welding, marking, and additive manufacturing – which saw a 4.5 per cent increase in 2016, outpacing the machine tool market which instead contracted by 3 per cent. The remaining 25 per cent of global system sales were made in microelectronics processing, which saw an increase of 15 per cent, mainly due to the increased use of lasers for the manufacturing of mobile electronic devices. Fibre laser demand grew 15 per cent last year to $1.3 billion, with the sources now reported by Optech Consulting to hold a 40 per cent share in the global market for laser sources for materials processing, which saw an increase of 5.4 per cent to £3.3 billion in 2016. This puts fibre lasers ahead of gas lasers – mainly CO2 and excimer sources – which hold a 35 per cent market share, and bulk solid state and diode lasers, which hold a 25 per cent share. This growth in fibre lasers can partly be attributed to their continued replacement of high-power CO2 lasers in applications such as high-power cutting and welding. The increase in global system sales, according to the market research firm, was mainly due to surging demand in China, where sales increased by nearly 20 per cent. The systems were sold mostly by Chinese suppliers, who benefitted strongly from the surging demand. Positive contributions to the global laser system market also came from Japan last year, which saw an increase to its national currency value. System sales in Europe and North America did not experience the same growth, having experienced a sideward trend last year.